You can start the holiday season on a charitable note by donating on Giving Tuesday, November 27th. For decades, Rotary has been a leader in the battle against polio and has kept the pressure on as worldwide cases plummeted from 350,000 in 1988 to only 20 cases so far this year. We’re closer than ever to ending this devastating disease. Start a new tradition for your annual calendar. 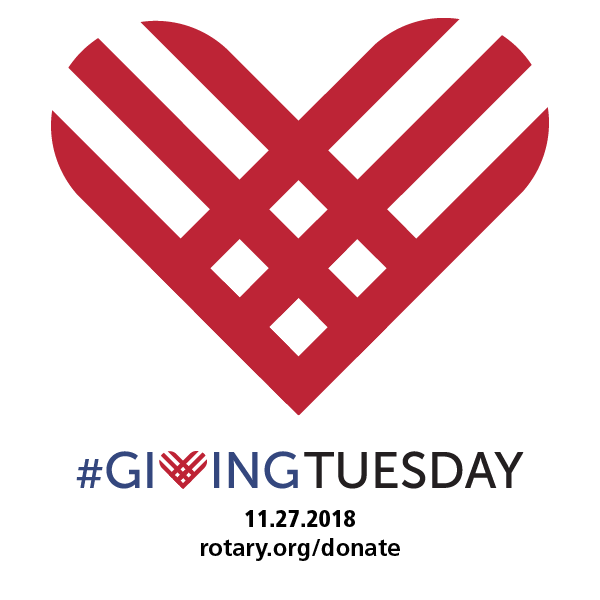 On Tuesday, November 27 please visit http://Rotary.org/donate to make your gift.